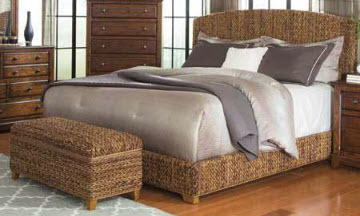 Hand-woven Abaca banana leaf bed. Pair it with the matching trunk. King bed dimensions are 83"W x 88.25"L x 55"W.